Beauty and the Beast is one of those movies that has never gone out of style. The original Disney movie was released in 1991 and has continued to rank high among Disney fans. My daughters have adored the movie for years. 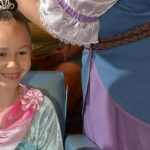 With the release of the live action version, I thought it was a great time to give you an overview of all things Beauty and the Beast at the Walt Disney World® Resort. 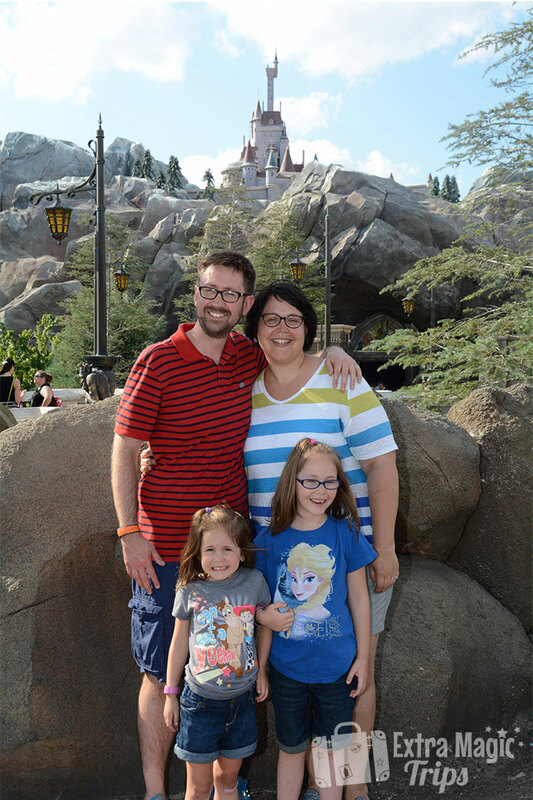 Magic Kingdom® Park is our first stop on this tour. Beauty and the Beast is so iconic that the majority of the 2012 Fantasyland® Area expansion was dedicated to the film. 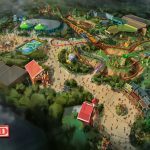 In this section of the park you can dine with the Beast, chug some brew with Gaston and reenact the “tale as old as time” with Belle, Lumiere and the Wardrobe. Gaston’s Tavern is a quick service snack location in Fantasyland®. The two most popular things on the menu are the massive cinnamon roll and LeFou’s Brew. The tavern is decorated just as you would expect – with the heads and antlers of all the animals Gaston has hunted. We all know that no one hunts like Gaston! After you’ve had your five-dozen eggs (you know…like the song) you can head out and meet the man himself. The line can be a bit long because he takes a lot of breaks to look in the mirror. Let me give you some advice here. 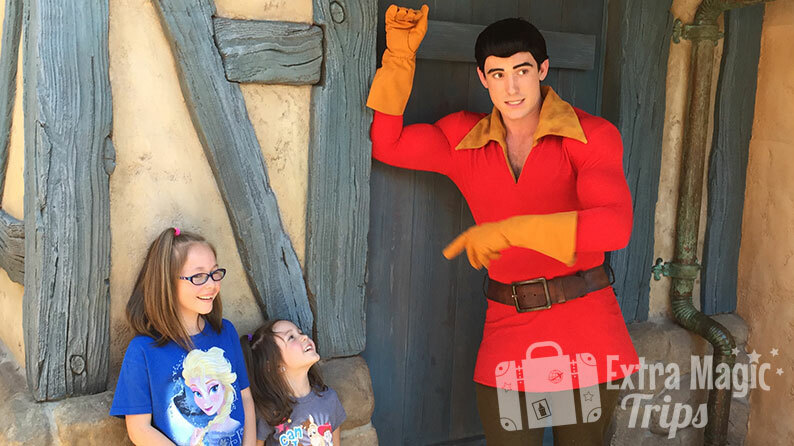 Gaston is…well…a jerk. Seriously. He doesn’t just play one in the movie. He will hit on your daughter and if he doesn’t get anywhere he’ll get rude. If you don’t enjoy this type of banter this isn’t the character meet and greet for you. 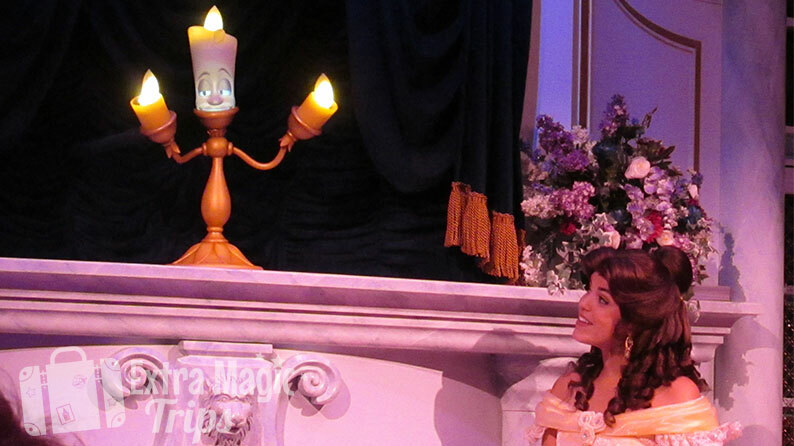 Also in Fantasyland® is Enchanted Tales with Belle. I would strongly suggest this attraction for all kids in the single digits and older ones that really love the movie. This is a fan favorite in our house. 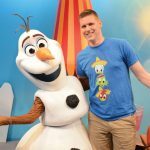 It’s so hard for me to not give away all of the surprises in this attraction, but you won’t find any spoilers here! This is a fully immersive opportunity to interact with some of the most memorable characters. You will see Belle’s home, Maurice’s workshop and the library. 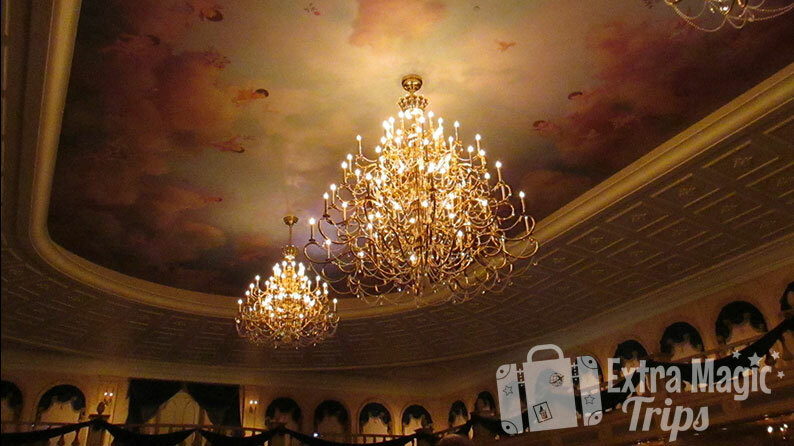 The final, and most popular place in Fantasyland® is the Be Our Guest Restaurant. Be Our Guest is open for Breakfast, lunch and dinner. Breakfast and lunch are quick service (but you need a reservation) and dinner is table service. The restaurant is in the Beast’s castle! How cool is that? The dining areas are broken up into three distinct rooms – the Library, the West Wing and the Ballroom. For breakfast and lunch you can sit in any room you chose. But no matter where you sit, feel free to wander around and check everything out. We personally like the West Wing and the Ballroom. The West Wing houses the Enchanted Rose and a number of special effects. The Ballroom features a life sized spinning statue of Belle and the Beast. It’s beautiful! The menu is casual French cuisine and very good. Try the Gray Stuff…it’s delicious! For you Beast lover’s out there, sometimes you can get lucky and catch a glimpse of the Beast at dinner only. The other place to catch a glimpse of the unlikely couple is the Festival of Fantasy Parade. Every day at 3:00 pm the parade winds through Magic Kingdom® Park and Belle and Beast are on one of the most beautiful floats. 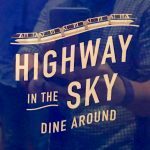 Plan to check it out at least once on your trip. Epcot® offers some great opportunities to get some one on one time with Belle. For as long as I can remember Belle has greeted guests at the Akershus Royal Banquet Hall in the Norway Pavilion. This table service restaurant is a buffet with many different princesses. Side note – breakfast here is my top recommendation for princess lovers! Belle also meets guests in the France Pavilion – the story is French after all! 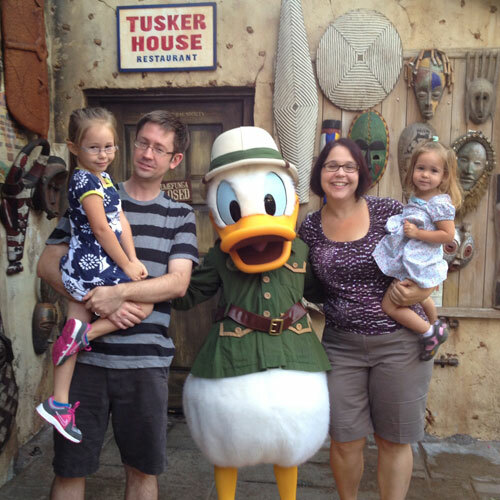 Check the My Disney Experience (MDE) app while you are visiting to get the exact schedule. 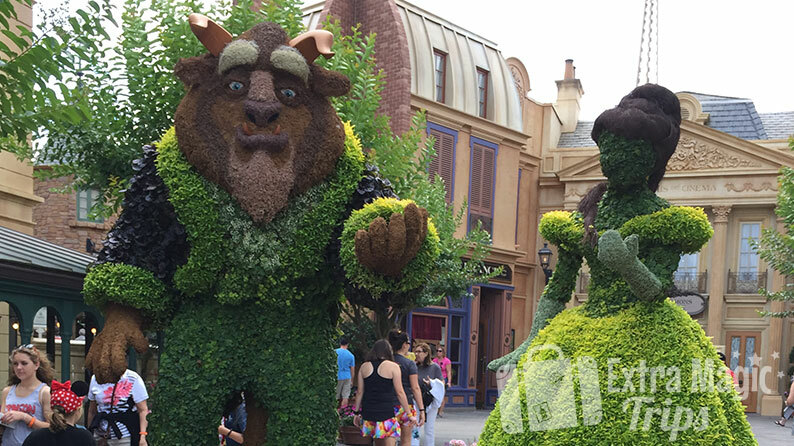 If you visit during the Epcot® International Flower and Garden Festival, you will find Beauty and the Beast topiaries too! 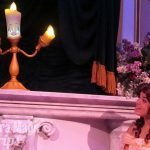 Disney’s Hollywood Studios® offers guests the opportunity to see the story of Beauty and the Beast in a very popular stage show. Beauty and the Beast – Live on Stage is performed five times a day to a packed outdoor theater. You are welcome to bring food and drinks into the theater, so you can always pick up a snack or a meal from a quick service location across from the entrance and make it dinner theater. Finding Beauty and the Beast at Walt Disney World® Resort is pretty simple if you know where to look. Ready to experience the magic of Beauty and the Beast in person? Request a quote today to get started!